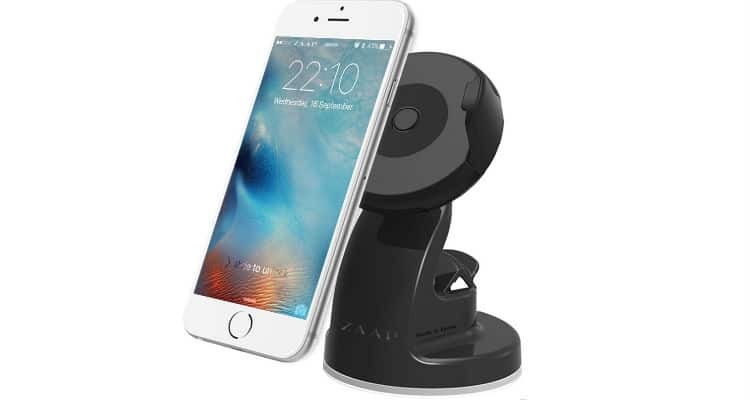 ZAAP, a market leader that has revolutionized customer experience with its lifestyle-driven design and innovative technology, has further expanded its Car Mount range with the launch of two new products – “Quick Touch Three” and “Magnetic Touch Two” Mobile Car Mounts. The newly launched Car Mounts are designed and developed using ZAAP’s Patented QT Technology and manufactured in South Korea. The design of both car mounts is done by Marc Nelson who is a well recognized Industrial Designer. Magnetic Touch Two car mount uses powerful magnets which can hold up to a weight of 380gm which makes it unique against traditional car mounts. On the other hand, Quick Touch Three uses a traditional mobile holder which can hold mobile phones with a width of 2 to 3 inches. Both products are made for Car Dashboard, Car Windshield, and Desktop and use a special suction gel pad that ensures mount can be used for infinite times and can be restored to original condition after rinsing with water. Both these products promise to make your journey easier than ever and provide a hassle and distraction-free travel. Both Quick Touch Three and Magnetic Touch Two are available in Classic Black colour at an introductory price of INR 1,199/- and INR 1,449/- respectively. The products are available on Amazon, Snapdeal, Zaaptech.com & selected retail stores.